Contents: 3 Videos (DVD), 3 texts, manual and aromatherapy sampler pack (non-refundable) shipped to you. online multiple-choice test. Contents: 3 Videos (DVD), 3 texts, manual, aromatherapy sampler pack (non-refundable) and workbook with multiple-choice test shipped to you. Outline the history of aromatherapy, including use of aromatherapy in ancient civilizations, and in other countries today and how it has been used to enhance immunity, relieve symptoms, and relieve stress. Explain methods of distillation and differentiate between genuine essential oils and synthetics, so as to avoid the use of ineffective or potentially dangerous oils in the practice of massage or spa treatment. Describe the factors that influence quality and characteristics of essential oils so as to avoid the use of adulterated or diluted oils in the practice of massage or spa treatment. Identify the techniques used to analyze the composition of an essential oil to be able to recognize the methods used to assure quality for safe application in the practice of massage or spa treatment. 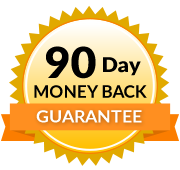 Breakdown and analyze the schematics to identify main components, main effects, contraindications, and notes regarding a variety of essential oils, so as to knowledgably use the appropriate essential oils in the practice of massage. Compare and contrast oils to the highest standards and determine if they are of high quality for use in the practice of massage or spa treatment. 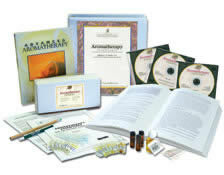 Examine the methods of absorption of essential oils and the healing process, identify the effects of various essential oils and specify which essential oils can be safely and effectively used for healing various conditions in the practice of massage or spa treatment. Describe steps and methods of preparing a blend for a subject face to face, as in a massage session, using sampler kit to practice preparing blends for various case studies. Identify most commonly used essential oils and methods for use appropriate for massage. Develop and create aromatherapy products using multiple mediums, focus on products for use in massage setting. Experiment with blending 15 essential oils in sampler pack, testing combinations and methods of combining, for safety and efficacy in the practice of massage. Discuss the fundamentals of aromachemistry, including the levels of classification, to recognize potential safety issues when selecting essential oils to use in the practice of massage or spa treatment. Discuss basics of aromabotany, differentiate between the families of plants and flowers, identify those that produce essential oils to be used in the massage practice. Determine which essential oils may cause toxicity, reactions with orthodox drugs, interfere with pregnancy, or be contraindicated for massage clients. Justify and support the use of aromatherapy in clinical settings as well as in massage therapy. Relate the importance of professionalism in massage therapy in the addition of aromatherapy to the massage practice. Integrate the use of aromatherapy into the massage practice. Utilize proper storage and handling techniques for carrier and essential oils in the massage therapy practice. Correlate the relationships between chemical structure and effects, and provide descriptions of oils for safety and efficacy in the practice of massage. Summarize the conventional approach to medicine and the use (and history of use) of aromatherapy, relate it to uses in the practice of massage and spa treatments. Differentiate and rank oils, by information on the label, for safety in the practice of massage and spa treatments. Locate organizations and other resources for the practice of Aromatherapy in order to continue to acquire more knowledge for safe and effective use of essential oils in the practice of massage therapy. 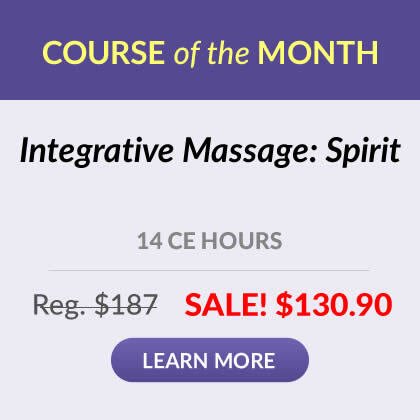 Develop your own unique recipies for use in the massage therapy practice.